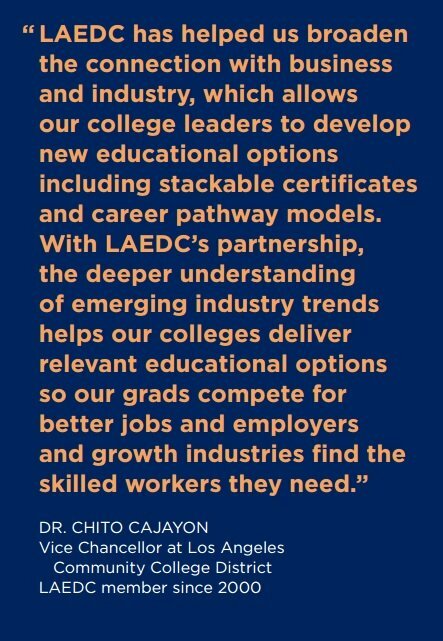 LAEDC is the only organization in Southern California focused on a comprehensive approach to raising standards of living, which includes fostering job creation in our leading industry clusters and ensuring our residents can access those job opportunities. 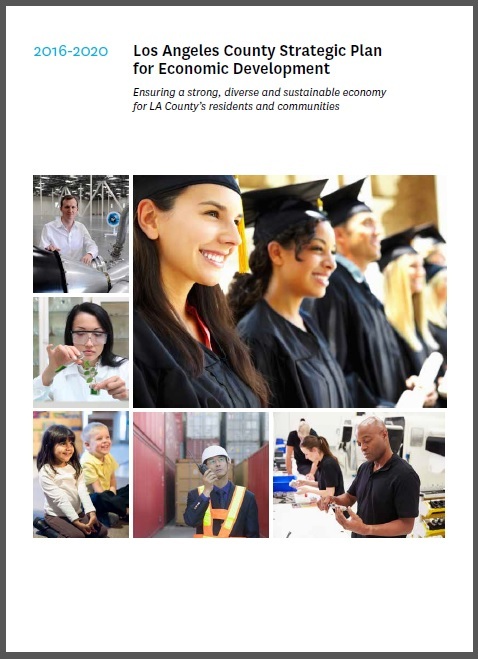 LAEDC’s programs and initiatives, including our work facilitating the L.A. County Strategic Plan for Economic Development, address the root causes of poverty and income inequality, and set a foundation for healthy families, widely shared prosperity and livable communities. 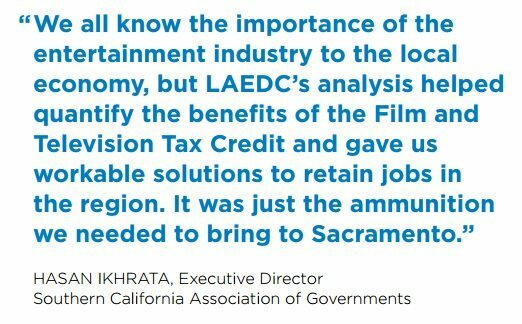 As part of this work, LAEDC has directly saved or created over 200,000 jobs in the region. Invest in vital programs that improve the standards of living for all LA County residents, and associate your organization’s name with this transformative progress. Learn more about the many benefits a membership entails HERE. Organizations that take a leadership position with annual membership see a return-on-investment in many ways, including access to the board and executive committee meetings, networking with leaders from the region, access to insights from our economists, have a voice in which topics and articles LAEDC highlights, and other unique benefits that help their business. 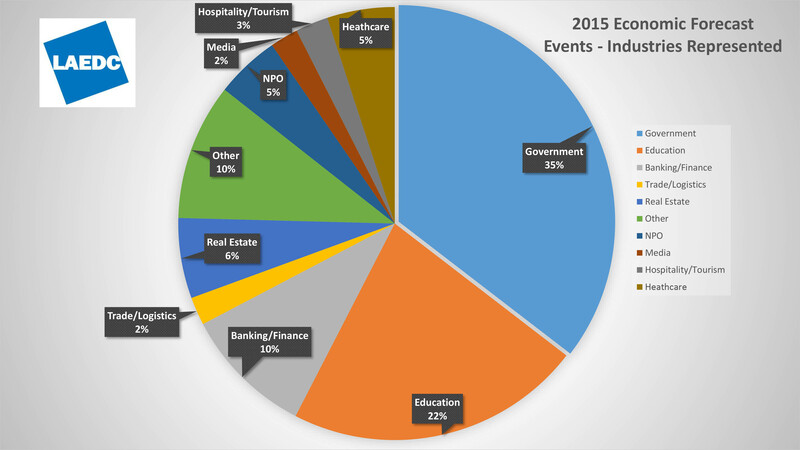 Members provide the largest source of funding for LAEDC’s non-profit, public benefit mission. Are you and your organization prepared to be part of LA County’s new economy? 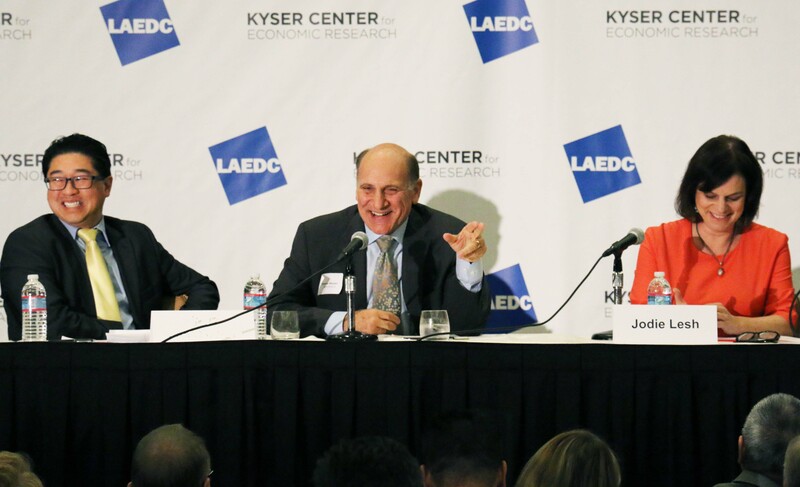 LAEDC’s Future Forums series take a deep dive into key industries and explore trends ahead, workforce demands, new technologies, policy reform needs and more. 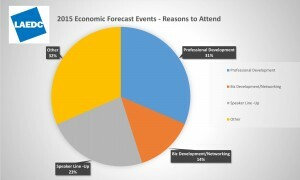 The Future Forums are hosted in both geographically diverse and creative environments around LA County. 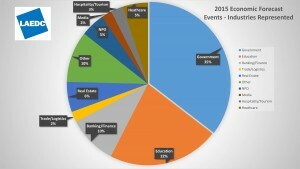 In 2017-2018, the topics included Future of Work; Future of Smart Cities; Future of Retail; and the Future of Healthcare. 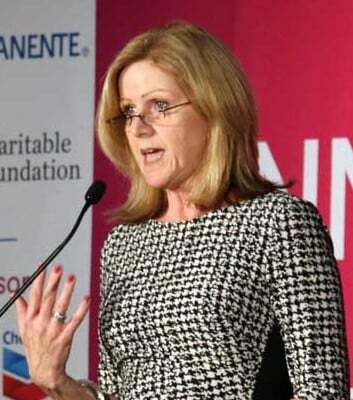 The RED Talks (RED = Regional Economic Development) provides a platform for influential change-agents in LA County that are creating advances to improve the vitality of the region (i.e. media, real estate, technology, politics, etc.). There are networking and collaboration opportunities for attendees before and after the Talks. Events to be hosted in different parts of LA that reflect the diversity of the community. The Chairwoman Series provides LAEDC members with opportunities to join intimate, round-table discussions with elected officials in our region, to engage in dialogue about priorities and hear input and questions from LAEDC members. LAEDC incoming Chairman for fiscal year 2018-2019 is Eric Rowan, and serves as our host at these meetings along with the sponsor(s), and LAEDC CEO, Bill Allen. The Eddy Awards® is a cocktail reception, dinner, and awards gala to support fulfillment of the LAEDC mission to advance opportunity and prosperity for all. The Awards were introduced by the LAEDC in 1996 to honor individuals, organizations, and cities that demonstrate exceptional contributions to positive economic development in the region. Honorees have not yet been invited for the 2018 Eddy Awards. The dinner includes a live reveal of the Most Business Friendly City in LA County award that is issued to one large city, and one small city within LA County. 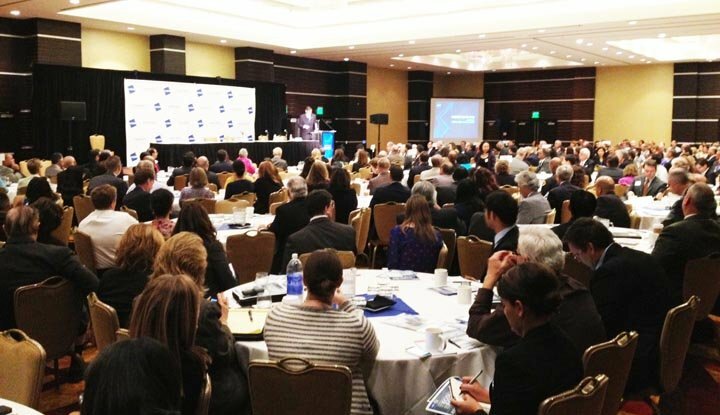 In January 2016, the new 2016-2020 Strategic Plan for LA County Economic Development was finalized, after a year of input from hundreds of stakeholders in more than two dozen public forums that brought together leaders from business, government, labor, education, environmental, and community-based organizations to define priorities and strategies that will lift up our residents and set a foundation for growth of good jobs in the future. Now, implementation is beginning and requires critical funding resources. 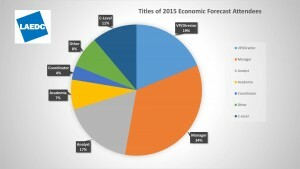 In order to continue to facilitate and implement the region’s strategic priorities and collaborative efforts to create well-paying jobs, help key industry development and grow a workforce to navigate the challenging transition to an Information Age economy, the LAEDC is seeking financial sponsorship for the program. 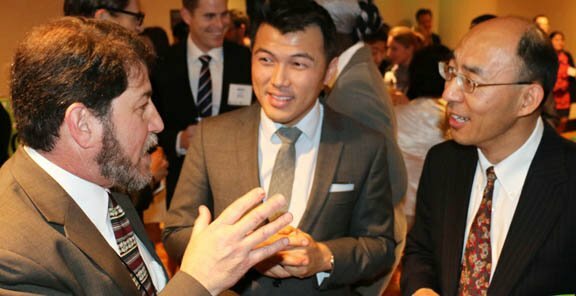 WTCLA will be continuing its tradition of trade missions to international destinations to help overseas investors find opportunities in Los Angeles County, and develop new markets for exports of U.S. products and services. These missions continue to drive successful and positive impact in L.A., and build lasting relationships that enable global business expansion. 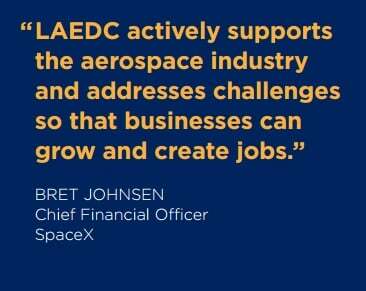 LAEDC takes action in support of growth and success of leading export-oriented industry clusters in LA County, including aerospace, advanced transportation and biosciences. We work with stakeholders and firms with deep expertise in these industries to define implementation plans that will shape the regional economy. These exciting initiatives and programs have significant impact on economic opportunity in the region and set the region on a better foundation for sustainable job growth. Learn more by contacting the LAEDC’s Strategic Initiatives department at 213-236-4852 or [email protected]. 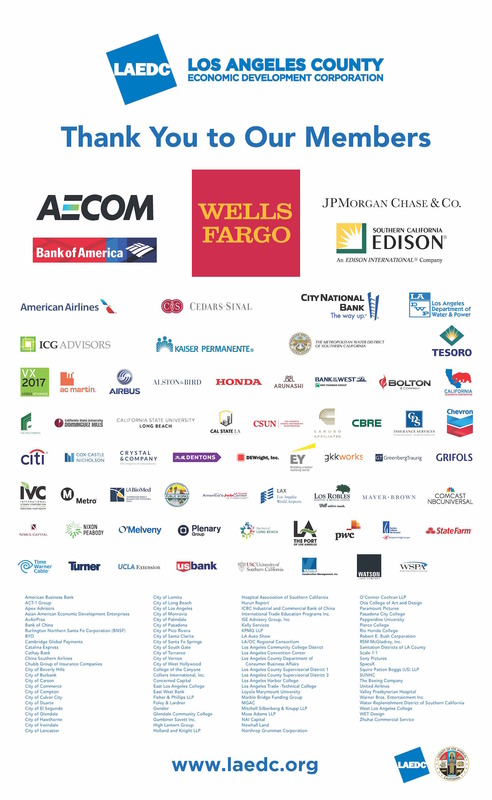 To become a member or sponsor LAEDC’s events and initiatives, contact Elsa Flores, VP of Strategic Relations at 213-236-4815.